Down the Memory Lanes of My Hafod is a touching account of J Ramsay Kilpatrick's early life in the terraced streets of the Hafod and his apprenticeship as a fitter and turner in what remained of Swansea's great copper industry. Recalling his life as part of a family that had lived in the Hafod for five generations, the author's memories are of a time that extends from his early recollections of the 1930's to his move to ICI Waunarlwydd in 1949. It will be enjoyed by everyone who has an interest in Swansea's everyday past and anyone who has personal connections with the Hafod, including those whose family members once lived in the area or worked in ICI Landore. It will also be of special interest to the new generations of residents whose homes and businesses are located in the shadow of the Liberty Stadium, land that was once the site of the largest copper works in the world. Down the Memory Lanes of My Hafod includes photographs of working practices in the 1920's and descriptions of life in the 1940's in ICI Landore, the works on the site that was once the location of the Morfa works and Hafod works. Line drawings by Tom Jones re-create the buildings as Ramsay would have remembered them and remind the reader that the decaying structures near Swansea's Liberty Stadium and Landore Park and Ride car park represent an industry that shaped thousands of lives. With historical notes and additional research, Ramsay's recollections of Swansea are a walk down the memory lanes of his Hafod. Beginning with his early memories of life in Gerald Street with his grandmother and his reluctant attendance at Hafod School, Ramsay recalls a life playing on the streets with his pals and roaming the tip, the largest slag heap in Wales and playground for generations of Hafod children. He remembers the fear of the bombing in the Second World War, including the Three Nights Blitz on Swansea, and his later life as an office boy in QF, the munitions factory managed by ICI on the site of the old Upper Bank works. Most unusual though, are his detailed recollections as an apprentice in the 1940's and his recall of the minutiae of copper rolling and shaping. As well as the work of a fitter and turner, he describes the work of other skilled men who sweated daily to finish the copper to customers' specifications, such as the rollerman, doubler, behinder, moulder, splatcher and flanger. An absorbing account of a community and the work that sustained it, told with clarity, warmth and wisdom. Easily one of the best book of its kind I have read." Nigel Jenkins, author of 'Real Swansea'. 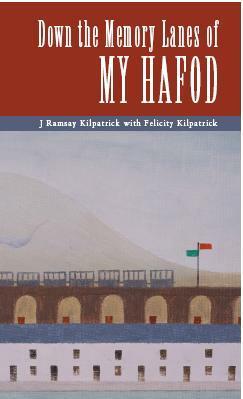 Read more about J Ramsay Kilpatrick and more about the writing of Down the Memory Lanes of My Hafod. Down the Memory Lanes of My Hafod is a collection of memories of a Swansea childhood in the Hafod of the 1930's and an apprenticeship in the closing years of Swansea's once great copper industry in the 1940's. 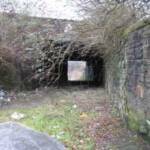 Told in his own words by J Ramsay Kilpatrick, Down the Memory Lanes of My Hafod offers a glimpse into a world that is already lost and a time that is almost forgotten. Down the Memory Lanes of My Hafod refers to ICI Landore, the place where the author began work at the age of 14 and where he served his apprenticeship as a fitter and turner in the 1940's. 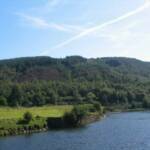 ICI Landore stretched along a large tract of land, mainly on the west bank of the Tawe and actually to the south of Landore itself. If you ever visit the site, you can stand with your back to the crumbling Morfa canteen building that sits neglected on the edge of the present Landore Park and Ride car park. The land directly behind you and in front of you, together with what you can see in your immediate field of peripheral vision would once have been ICI Landore. ICI Landore comprised a conglomeration of non-ferrous metal works that had been established by various industrialists throughout the nineteenth century. 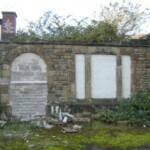 The main part was made up of what had once been the Vivian family's Hafod works together with the Morfa works that had been developed by Williams, Foster and Co. These two famous copper works were amalgamated to form British Copper Manufacturers (BCM) in 1924, when the works were rationalised and modernised. It was this conglomeration of buildings and departments that ICI took over in 1928. In 1957 ICI Landore was combined with the Yorkshire Copper Company to become Yorkshire Imperial Metals, the name by which the site is known to younger generations of local people. Much of the site was cleared in the 1960's but specialist copper manufacture continued there until 1980. 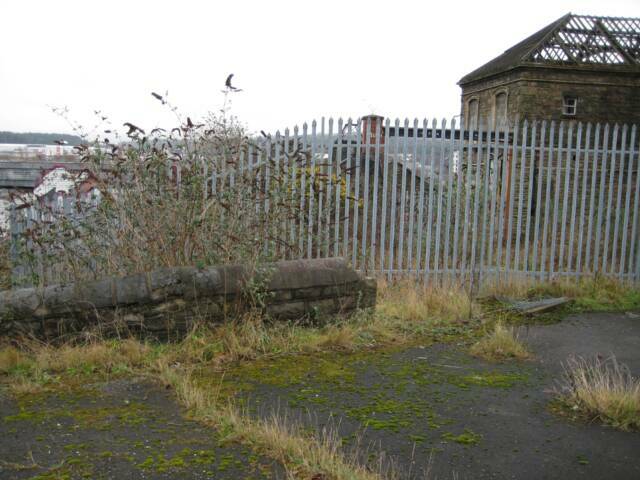 The site itself has a rich industrial history dating from the establishment of the Hafod works in 1810 and the development of the adjacent Morfa works set up by the Williams family in 1828. A summary of the development of the Hafod and Morfa works prefaces Ramsay Kilpatrick's recollections. Remnants of stone walls and deteriorating buildings suggest a previous life but the rolling mills and chimney stacks of Ramsay's memories have been replaced with roundabouts and retail outlets. For the time being, most visitors to the nearby Liberty Stadium will have little idea of the importance of the site but Swansea's development and growth is inextricably linked to the industry once located there. 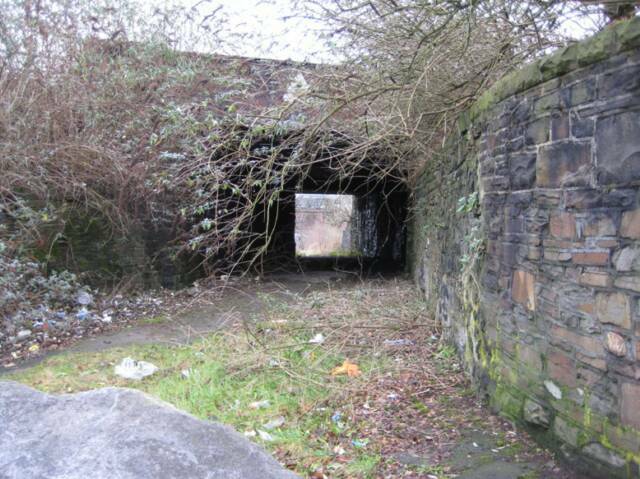 Under the railway bridge (left) opposite the Halfway Inn on Neath Road, over the canal bridge (centre) and through the Time Lodge (right) into the Morfa works: once the route to work for generations, now crumbling structures that dare us to remember the men who worked there. "I could feel the oil and grease on my hands as if it were yesterday." 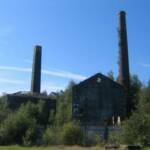 Down the Memory Lanes of My Hafod reminds the reader that the copper industry was not simply a collection of buildings that produced poisonous residue and toxic fumes. It was also a place of employment and training, even providing housing and education for the workforce during the nineteenth century. The surviving buildings have sufficient intrinsic historical significance to be Listed but, perhaps more importantly, they also remind us of the thousands of lives that were shaped by Swansea's copper industry: its entrepreneurs, its innovations and its working practices. Down the Memory Lanes of My Hafod is a lasting tribute to the generations of men like Ramsay Kilpatrick who were proud to have served in an industry that produced goods that the world wanted to buy. Their achievements and their labours should not be forgotten. All this is about to change. The major regeneration project currently underway will mark the influence of the copper industry on Swansea, and will celebrate the site and the comunity. 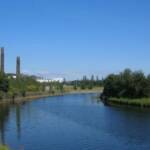 "I think it's not exaggerating to say that this perhaps the most important industrial site in the United Kingdom," said Professor Bowen in an interview on BBC Wales on March 8th 2010. "We tend to think that the history of Wales is written in coal dust and iron and steel. But in fact it's really copper that lies at the heart of Wales' development as an industrial nation." 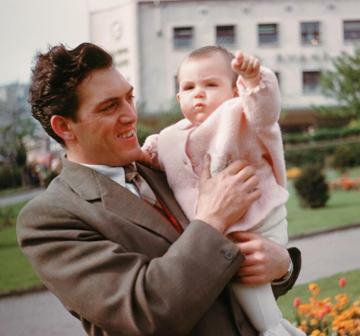 Dedicated to my Dad, with whom my journey of discovery began. Everyone who knew Dad will know that he recalled his life in stories: one of my earliest memories is listening to him tell the story of the time he burnt his boots on Hafod tip. It is my deepest regret that it took me so long to understand how important these stories are – not just because they are stories my father told but because they are moments of a time that is almost forgotten. The words are all Dad’s - always touched with humour and a deeply held regard for the men with whom he worked. His well-rehearsed anecdotes were often linked only by the fragile threads of his memories but I have deliberately maintained the unevenness of his narrative because it reflects the distinctive way he told his stories. The notes towards the end of the book fill some of the gaps, and offer further insight into Dad’s remembered world. I hope their inclusion allows his voice to remain uninterrupted while helping his words to be understood. As he talked and I took notes, Dad would sometimes take a straight run as if bowling down one of the long back lanes of his childhood. At other times he would lead me down winding passages until, quite unexpectedly, we ended up back where we started. Often these were the best stories, linking real people and real places to historical facts. For this reason I have retained Dad’s meandering style, with only a few changes to the order for clarity. 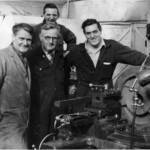 Dad included many examples of technical minutiae in the recollections of his apprenticeship, as might be expected from a man whose trade demanded meticulous precision. The details offer a glimpse into a world that is already lost: therefore I make no apologies for the fact that I have intentionally included every single one of them. Sadly Dad died on the very day his book was due to go to the next stage of publication; he never saw his words in print but his reminiscences of the Hafod and ICI Landore are a lasting, and now a very poignant, legacy. My search for a deeper understanding of my father’s memories led me to a place I only ever knew through his stories: I will remain forever thankful that I had the chance to find it. It is hard to say quite how this little book came about but it was only halfway through recording and transcribing Dad’s recollections that we visited the site of the old ICI works at Landore. It was the first time Dad had returned to the site in almost fifty years and it wasn’t until my first visit that I understood that these memories are far too precious to be lost. To begin with I researched material simply to check what Dad was telling me - whether it was the location of his grandfather’s foundry or the name of the ferryman at the White Rock Ferry - but it didn’t take long to discover that for two hundred years Swansea’s growth and development was inextricably linked with the copper industry; and for one hundred years - from the 1850’s to the 1950’s - the lives of my family were equally bound with the copperworks. The Landore works to which Dad refers throughout this book stretched along a large tract of land, mainly on the west bank of the Tawe and actually to the south of Landore itself. It included the Hafod and Morfa copperworks together with various other works accumulated at different stages during the nineteenth and twentieth centuries. 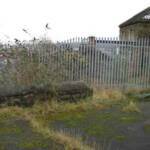 It is now an area of flat land which is being developed and revived after years of demolition and dereliction. Remnants of stone walls and deteriorating buildings suggest a previous life, but the landscape that Dad recalls is long gone. Dominated by the Liberty Stadium, the area offers very little in the way of context now: it is difficult to imagine anything other than new roads, fast-food outlets and out-of-town shopping on land that provided employment for thousands of men, women and children. Yet the Lower Swansea Valley was one of the early heartlands of the Industrial Revolution and by the mid-Nineteenth Century the site was the location of the largest copperworks in the world. The house where I grew up was in one of the sturdy stone terraces built in the Hafod for their workers by the Vivian family, whose names were the streets of my childhood - Odo Street, Graham Street, Glyn Street, Gerald Street. My entire world was the Hafod, and its streets were as much my home as any house I ever lived in. All the people I knew were no more than a few minutes’ walk away and many of my family lived in Gerald Street or Aberdyberthi Street for most of their lives. Almost all of them were connected in one way or other with the place I knew as ‘the works’: ICI Landore. People often said jokingly that the Burns family owned Landore – or they thought they did! It wasn’t true of course, but by the time I was born my mother’s family, the Burns family, had lived in the Hafod for generations and the men of the family seemed to have worked at Landore forever. I was always told that the family had originally come down from Scotland to Manchester where they helped set up the mills at the start of the industrial revolution. After that they went to Holland as engineers working on land reclamation projects. 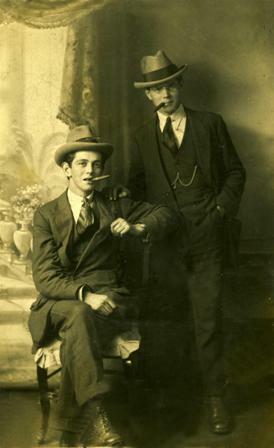 Later they came to Swansea to work for the Vivians. I don’t know how much of that was historically accurate but I always knew that the men of the family were skilled men with strong traditions of working with metal, and they were very proud of their craft. 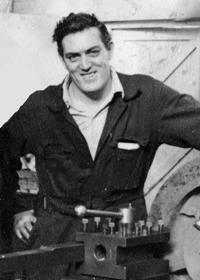 In 1945 I set off on a five year apprenticeship with 2 years ‘improving’. That was the time you were given to advance your skills and show you were proficient enough to be a fully-fledged craftsman. In my case, that meant being a fully-trained fitter and turner. 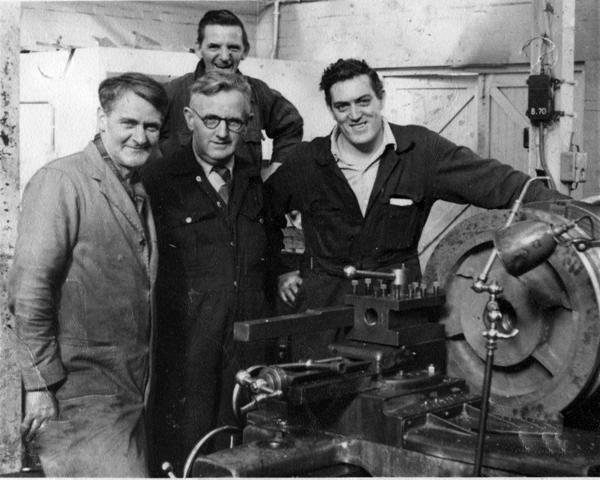 I started off in the fitting shop where I learned lathe work and planing and shaping under the watchful eye of Trevor Burns, Uncle Arthur’s son and my foreman. I also had to learn all about milling, which was using a multi-cutter to shape metal to a particular specification. What we were learning was how to repair or replace any part of any machine in the whole factory. In those days a works like ours wouldn’t have standard machines so you couldn’t just send off for spares, you had to mill the parts from a lumps of metal or turn them on a lathe and then fit them to the machine. My grandfather and my uncles were known as top craftsmen and, by the time I started at Landore, the Burns family had been at the works for a few generations. “He’s a Burns,” people used to say about me and that meant they knew I came from a family of skilled men. I’d seen plenty of the works when I was an office boy but being an apprentice was a different thing altogether and I started to have a better understanding of how everything worked. The works itself was a busy, bustling place: you could see everything going on through the vast doorways set in the sides of the different buildings and you’d hear all the noise of the rolling mills, the steam hammers and the casting shops. The walls echoed with the sound of clanking metal ringing out above the roar of the machinery and, when the machines were going full pelt, you’d have to yell to be heard in some parts of the factory. Writing this has made me think a lot about my father, my grandfather and all my uncles and cousins who worked at ICI Landore and at the Morfa and Hafod works before that. My daughter took me down to the old works not long ago and it was all dead flat. You couldn’t even say it was derelict because there was so little I recognised. I hope these words will help people understand that there was a living, thriving industry where there are now only roundabouts for new roads and car parks for shops. The works was a source of employment and training, not for hundreds but for thousands upon thousands of men and boys: generation after generation of men working alongside their neighbours and their brothers and their fathers and their grandfathers. I’d be lying if I said it wasn’t a hard life but the copperworks on that site played a vital part in Swansea’s heritage and it was an important part of my family’s heritage too. It fills me with pride, and maybe a bit of sadness, to know that I was one of the last generations of men to work there. Even the most cursory glance at census information for the Hafod area reveals that several families with the surname ‘Burn’ or ‘Burns’ had been living in Swansea since before the first decades of the nineteenth century. 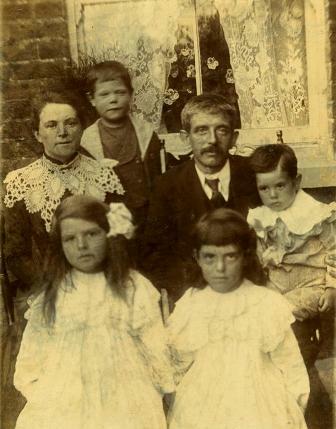 Although many of the men of these families had occupations linked to the copper and other non-ferrous industries, there is no reason to connect them with Dad: the Burn family of Dad’s lineage did not live in Swansea until the arrival of Ralph Burn in about 1850. From that time onwards almost all of Dad’s family lived in Gerald Street or Aberdyberthi Street for significant parts of their lives. It says a great deal about the men, their families and their employers that for almost a century many members of the family did not move very far from the centre of their employment, the copperworks. Some ventured away from home but others, like hundreds of men working in similar industries the length and breadth of England and Wales, stayed at the same works - whether Hafod, Morfa or ICI Landore - long enough to receive awards for 25, 30 and 40 years’ service. As a consequence of this pattern of employment there were strong links between generations: men would work alongside brothers and sons, and young boys would learn their trade from fathers or uncles or cousins. Knowledge, experience and even some of the tools themselves would be passed from one generation to another as a matter of pride. So it came about that Dad’s bed under the stairs during the air-raids of the Second World War was the wooden pattern-maker’s tool chest that had belonged to his great-grandfather, Samuel Burn. It contained tools belonging to Samuel’s father and it is with Ralph Burn, the owner of those tools and the first of the Burn family to arrive in Swansea, that the connections between the Burn family and the Hafod begin. 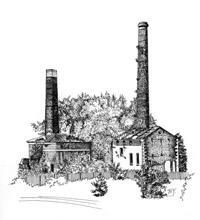 Click on the chimneys to find out more about the site. There are still a few copies available but they are now in such short supply that they aren't easy to find. Take a look at 'Buy a Copy' to find out more.